Don’t leave your favorite local brewery empty-handed! 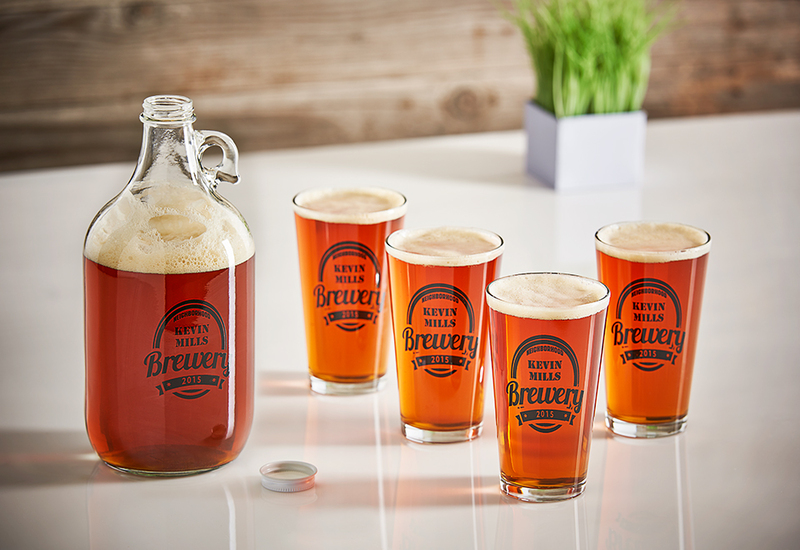 Bring along your Personalized Brewery Growler to take home a sample of your favorite regional brew. This elegant glass growler features a retro design and hand-printed personalized content (2 lines/15 characters each, plus a four-digit year). Choose Black, Gold or White ink. Set includes one personalized 64-oz. growler and four personalized 16-oz. pint glasses. PERSONALIZE THIS ITEM! 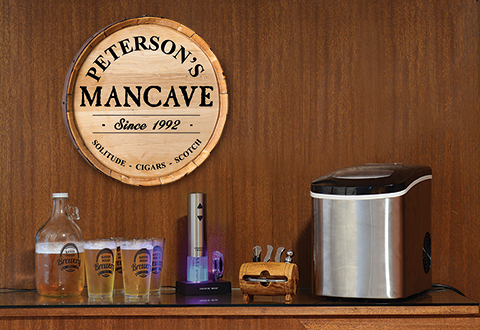 Looking for a great bar or man cave gift? 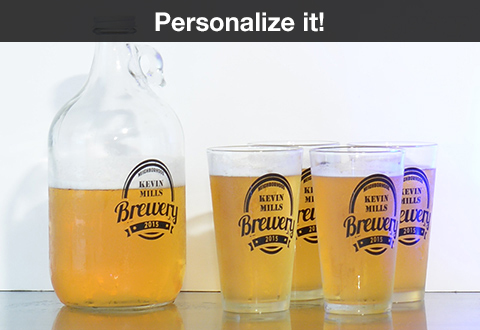 The Personalized Brewery Growler Set is sure to delight that special beer lover in your life! • PLEASE NOTE: Personalized items are not returnable.